Breaking news! The aliens are invading the UK! 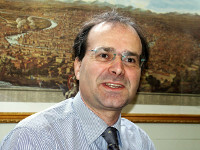 Paolo Alberto Valenti is a tv senior journalist producer in Lyon since 1995. Member of the Euronews editorial staff producing and voicing news and cultural, scientific, fashion, touristic magazines. He is the founder President of the European association ClubMediaItaly. Qualifications: Manager of the Public Service Broadcasting and Media with 30 years’ experience in the news, sport and international relations sectors. Trained as a journalist, with a great deal of experience in international companies and organizations (RAI, Euronews, Eurosport, and since 2002, at EBU European Broadcasting Union member of the WBU World Broadcasting Union). Maria Bologna is a passionate journalist. 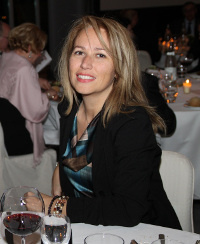 For years, she worked with different Italian written and TV media, French and Monegasque too. 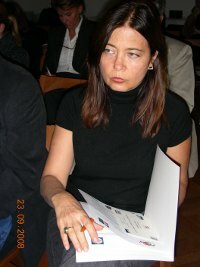 The mission of Maria Bologna is to writenews through reports and unusual information/video shooted in the Principality. Maria Grazia Galati was born in Milan in 1967. She has been a journalist in current affairs since 1995. Educated in languages and tourism Maria Grazia has worked for eight years for Gente Viaggi (Rusconi/Hachette), a monthly voyage magazine. 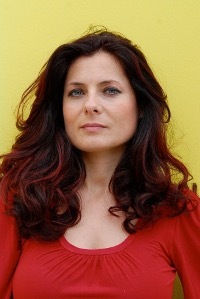 In 1993 Maria Grazia started her globe-trotter career as a correspondent for various Italian and International papers working in London, New York, Hong Kong, Lisbon. Journalist and Cultural Events Organiser. Born in Hamilton, Canada and grew up in Vevey, Switzerland. Graduated in Foreign Languages and Literature from D’Annunzio University in Pescara, Italy. Received a Master’s degree in Cultural Economy from Tor Vergata University in Rome, Italy. Born in Milan on february the 11th 1961. Professional journalist since 1992, he lives in Paris since 1995. 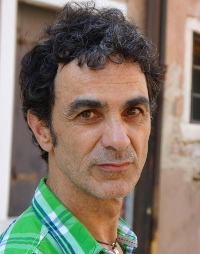 Correspondent free-lance, he works for the italian paper press (Bell’Europa, Charta) and for the italian radio (Agenzia AreaNews, Radio Città Futura) for whom he attends the politic, artistic and economic french news. Elena Fornero was born in Turin, Italy, in 1970. 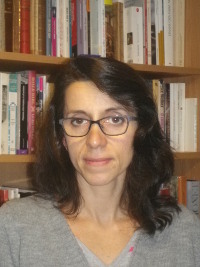 Professional journalist since 1996, she served for five years as editor-in-chief at catholic weekly «Il Nostro Tempo», before moving to Germany where she lived for six years and kept on working as free-lance journalist for different italian newspapers. Presently, "Euronews correspondent in the United Arab Emirates". Works at Euronews since 1994. Euronews covers world news 24/7 in 13 languages. C'est l'histoire d'un film qui n'aurait pas dû exister. Depuis la chute de Khadafi, le dictateur du désert, la Libye est une poudrière. Plus d’Etat. Deux gouvernements. Des ministres qui siègent un pistolet sur la tempe. Des centaines de milices armées qui kidnappent, rançonnent, torturent et violent.